Dimensions: 5-1/2 x 7-1/4 in. 136 pages. For ages 5-9. Guided Reading Level: M. Paperback. Best friends Ivy and Bean are back and looking for adventure in the second installment of this engaging new series. This time they've made an amazing discovery - a ghost in the school bathroom! 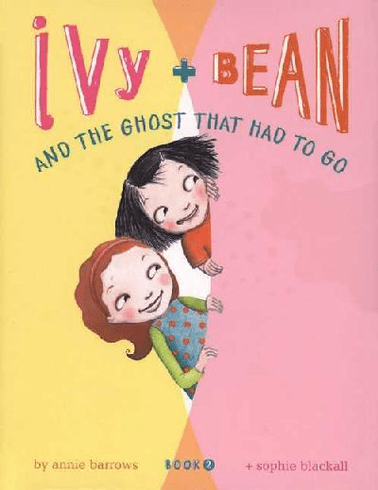 Ivy and Bean can see its cloudy form and its glowing eyes. They can hear its moaning voice. This is the best thing that ever happened at school until the teachers find out. Now Ivy and Bean have to figure out how to get the ghost out of the bathroom. Will they succeed? Maybe. Will they have fun? Of course!